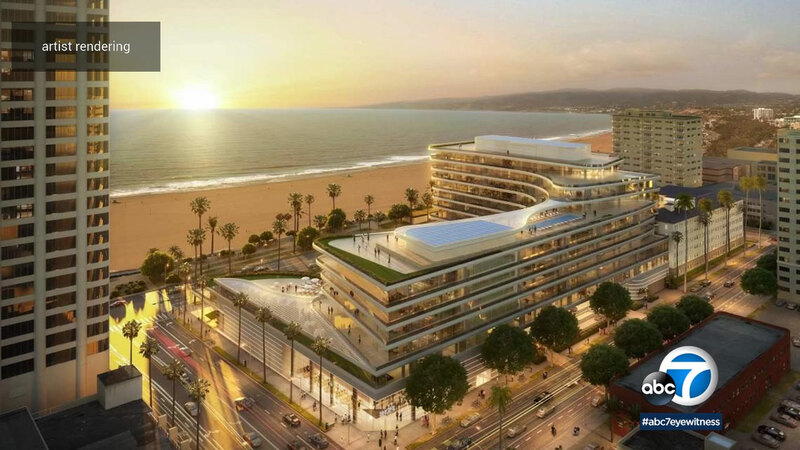 LOS ANGELES (KABC) -- The public is getting a look at the new plans for redevelopment of the historic Miramar Hotel in Santa Monica. The owners came under fire when they proposed a 21-story tower several years ago. The new design is sleek, 10 stories, in accordance with the new Downtown Santa Monica Community Plan. The name of the hotel will also get a makeover from The Fairmont Miramar Hotel, to "The Miramar Santa Monica." The project calls for 312 guest rooms and 60 condos. An adjacent property will be a 100-percent affordable housing building. The majority of the property will remain as open space, including 14,000 square feet of publicly-accessible gardens. Santa Monica's oldest living historical landmark, the Moreton Bay Fig Tree will stay put and become a focal point of the project.